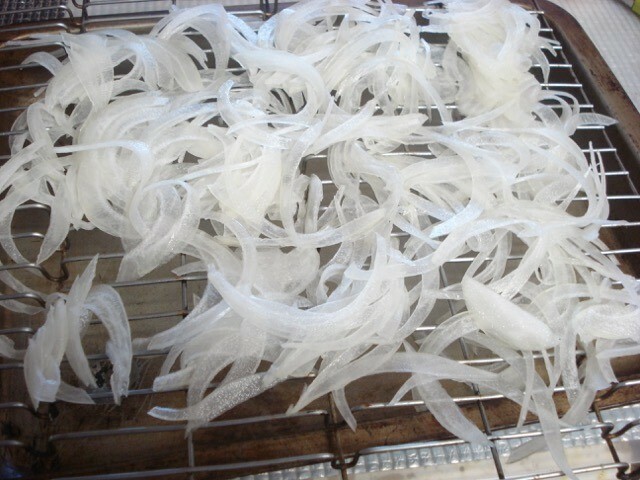 Dried onions are a great way to use up a large batch before they go bad. 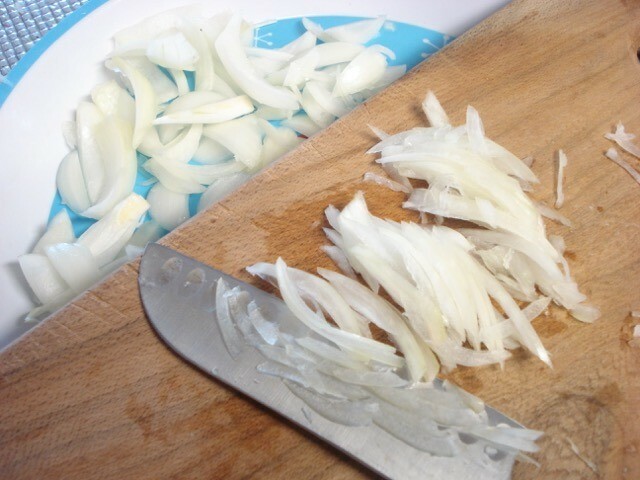 The dried onions are perfect to add to soups, casseroles and as a topping for salads. 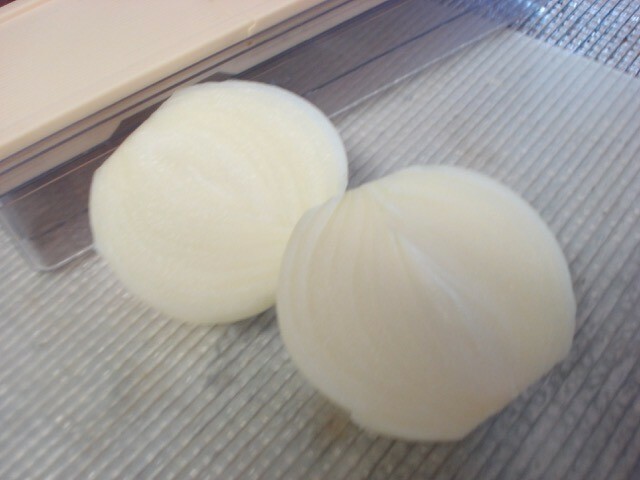 This is a guide about making homemade dried onions. 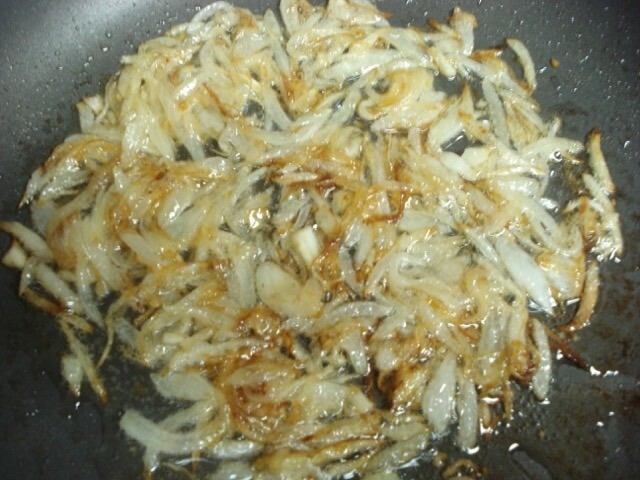 When I find a great deal on onions, I buy a large amount and make these dried and caramelized onions. 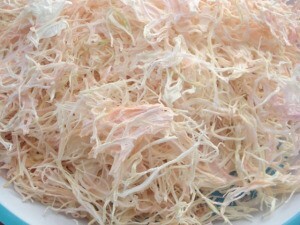 It ends up being a whole lot cheaper and more tasty than buying dried onions in bottles. You can make these in the oven, in a dehydrator, or even in the sun! 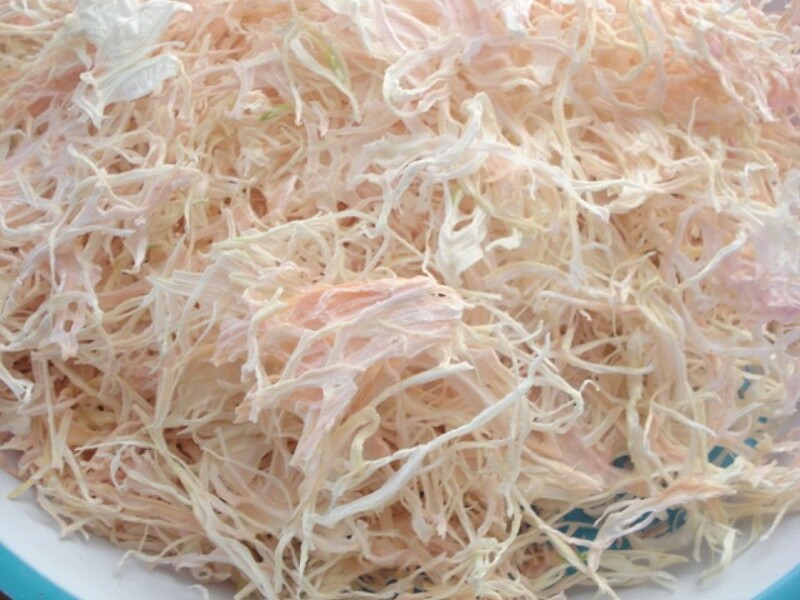 To make onion powder, run the finished product in a processor. 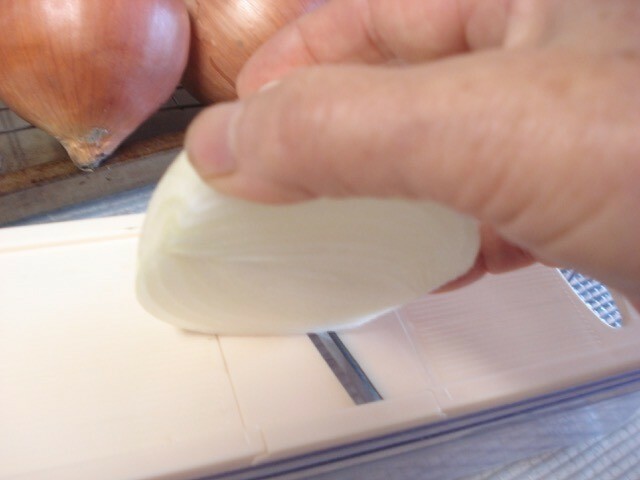 Cut onions into halves, then thinly slice with knife or mandolin. Spread a thin layer onto a rack. 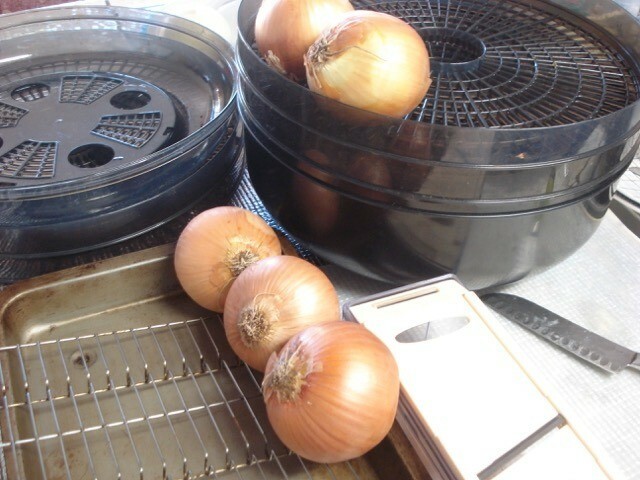 If you're using sunlight, you can have your onions ready in a few hours. If you're using your oven, set temperature to 200F for about 3 hours. 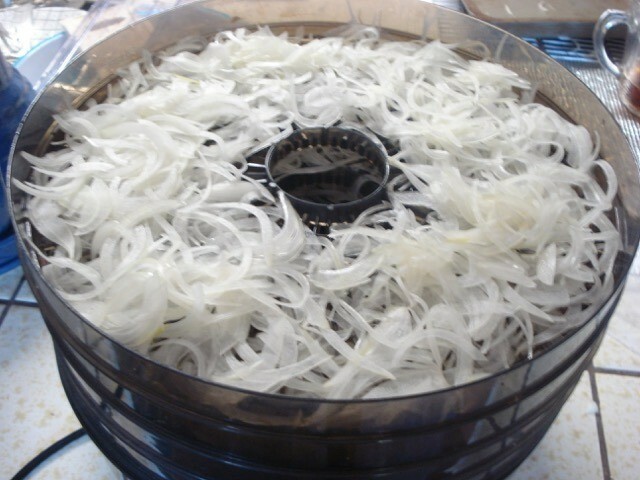 To use your dehydrator, place sliced onions on dehydrator trays and set to 125F for about 4 hours. Rotate your trays half way for even drying. 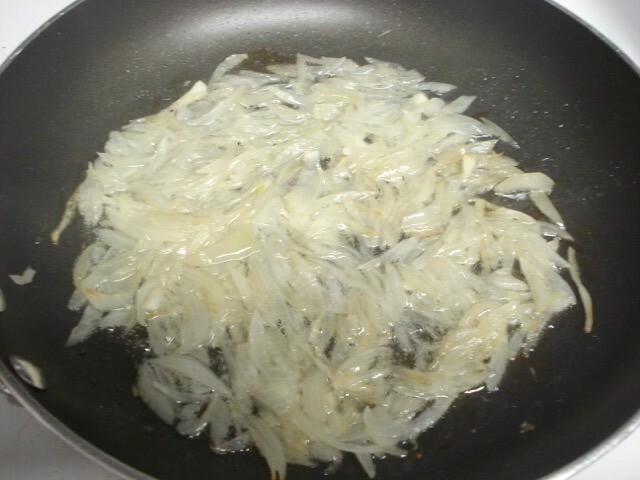 To make caramelized onions, coat the bottom of a pan with 1 tsp of oil to every sliced whole onion. Heat to medium, cooking until browned, stirring often. It's best not to crowd the pan as they will steam up and produce water. Instead of a Mandolin I use a Borner "V" cutter and make tiny cubes. Aside from being much safer, the little cubes practically disappear in gravies and sauces, just leaving the flavor behind. misting of oil and then another fast squirt onto the onions. That's enough, especially when filling my one gallon pickle jar with browned onion cubelets. I want them feeling dry, not oily. I am fascinated by this round pan with what looks like a steamer rack + whatever that other apparatus to the left is..
Can you tell me what this is? Thank you. That is a food dehydrator.